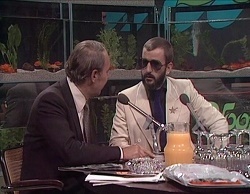 Notes: Ringo appeared on this long running Dutch TV talk show hosted by Willem Duys. 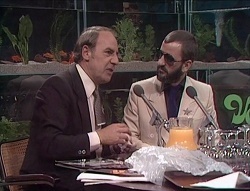 Ringo began his appearance by sitting in on drums with the show`s band and jammed with them for 50 secs before being taken down to the interviewing area. 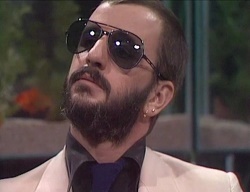 This is one weird interview with Ringo clearly inebriated. The first known copy of this interview that circulated began on the final drumbeat of the intro "jam" and that is the only copy that is still available. Notes: . A complete pristine copy taken from the TV station master tape is in the hands of collectors but has not been bootlegged.